The Chroma 1000/3500 Grit Combination Japanese Whetstone is designed for placing an edge on the knife blade with the Medium Grit #1000 side followed by the Fine Grit #3500 side, used for honing and placing a sharper edge on the knife blade. Start by placing the whetstone in water for 10-15 minutes and wait until the bubbles disappear. Hold the knife tightly starting with the medium grit side and draw the edge back and forth at an angle of 10-20 degrees. Sharpen the upper part of the edge first and work down the blade evenly. Repeat the same process on the reverse side of the blade. Draw both sides of the blade against the fine grit side to remove any burrs or rough spots. 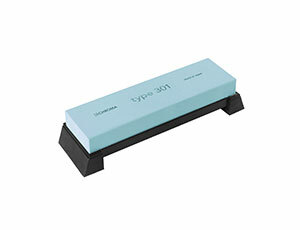 The powder that forms on the stone is essential to the sharpening process and should not be rinsed away. After sharpening, wash the knife blade in water and dry completely with a soft towel. Includes an extra Shusei Toishi repair stone for cleaning and removing metal particles off the whetstone. 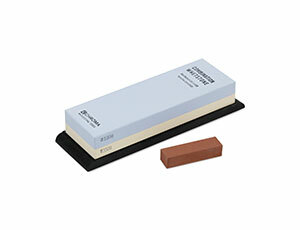 Simply place a small amount of water onto the whetstone and rub the repair stone back and forth or in a circular motion. 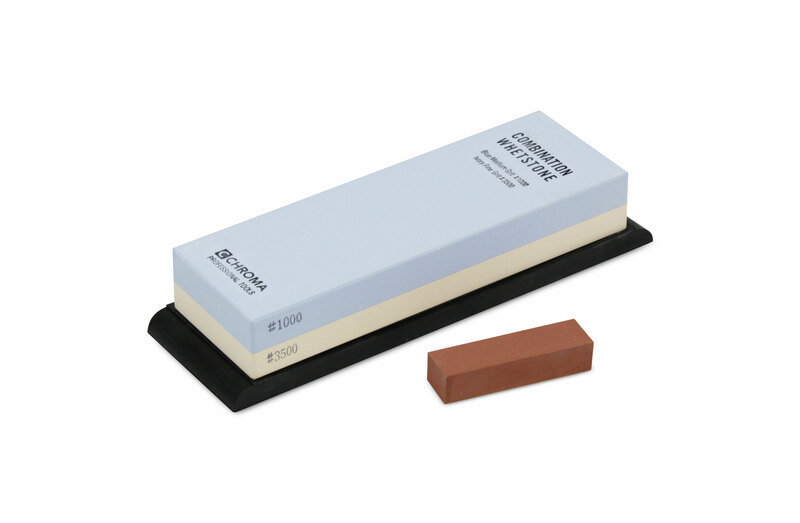 This will restore the whetstone to like-new condition. Made in Seki, Japan.